Sitara Wafadar has disguised herself as a boy for more than a decade, forced by her parents to be the "son" they never had. Sultanpur, Afghanistan: Sitara Wafadar yearns for long hair like other girls. Instead, the Afghan teenager has disguised herself as a boy for more than a decade, forced by her parents to be the "son" they never had. With five sisters and no brothers, Sitara lives by the gender-twisting custom known as "bacha poshi", which in Dari refers to a girl "dressed as a boy", enabling her to safely perform the duties of a son in the patriarchal country. 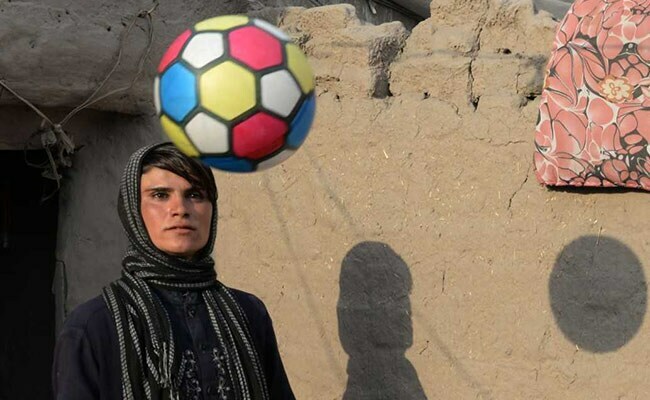 The 18-year-old, who resides with her impoverished family in a mud-brick house in a village in Afghanistan's eastern province of Nangarhar, has pretended to be a boy for most of her life. "I never think that I am a girl," Sitara tells AFP at the brick factory where she and her elderly father work six days a week as bonded labourers to repay money they borrowed from the owner and feed the family. "My father always says 'Sitara is like my eldest son'. Sometimes... I attend funerals as his eldest son" -- something she would never be allowed to do as a girl. While most bacha posh, as they are known, stop dressing as a boy after reaching puberty, Sitara says she keeps wearing male clothing "to protect myself" at the brick kiln. "When I go to work most people do not realise that I am a girl," Sitara says. "If they realised that an 18-year-old girl was working morning to evening in a brick factory then I would encounter many problems. I could even be kidnapped." "I don't feel ashamed about what I am doing but people my age tell me 'you have reached puberty and now you don't have to work at a brick factory'," Sitara says. "But what should I do? I don't have any other choice." Sitara's father, Noor, says "almighty Allah" did not give him a son, leaving him with no choice but to force his daughter to dress as a boy and work. The family says they owe 25,000 Afghanis to the factory owner and relatives that they borrowed to cover the medical expenses of Sitara's diabetic mother. "If I had a son I would not have faced all these problems and my daughter's life would be peaceful and prosperous," Noor tells AFP. "All the responsibility is on my and Sitara's shoulders -- we have to provide for the family and pay back the loans." Bacha poshi tends to be followed in "particularly conservative areas" of Afghanistan, Kabul University sociology professor Baryalai Fetrat tells AFP. "Girls find it difficult to go back to their normal self or act as a submissive wife to their husbands, which can lead to depression and also domestic violence," Fetrat says. Sitara's mother, Fatima, wishes Sitara could wear female clothes and stay at home, but she needs her to "bring groceries, take me to the doctor and do other work because my husband is old". While Sitara recognises that her situation is "unfair and unjust", she is resigned to it, mainly because her younger sister, who is 13, would "face the same fate as me" if she stopped. "I will do the hard work because I don't want my younger sister dressing as a boy and working at the factory," Sitara says. "If I don't work we will face a lot of hardship and problems." "When I put on boy's clothes I wish I had a brother, then my dreams would have been fulfilled," she says.